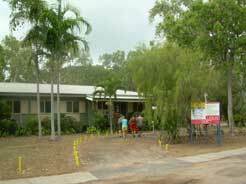 The Magnetic Island Primary Health Care Service offers nurse-led clinics from Monday to Friday and a 24-hours a day, seven days a week on-call service. Nurses provide on-call support to the Queensland Ambulance Service to assist in managing patients out-of-hours. Telehealth services are available, via video conference, for linking patients with specialist services reducing the need for patient travel.